This is still a relatively unspoilt area on the coast not far from Stanger that adjoins a conservancy which includes the mouth of the Umvoti River and a long stretch of beach which is popular with fishermen. 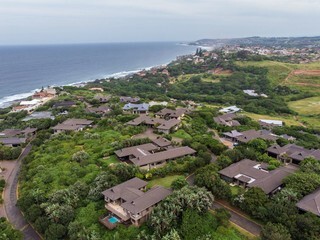 The area has remained largely undeveloped except for a new development that has been initiated - namely Blythedale Coastal Resort. A family orientated market has recently been launched at Blythedale focussing on Artisanal food and drinks, fresh produce and adventure activities and this market takes place on the first Sunday of the month. 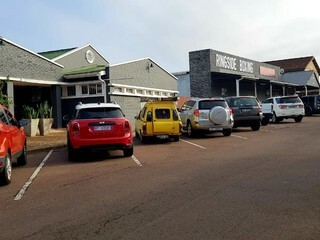 Long before the town of Ballito was established in the early 1960's, the areas of Shaka's Rock and Salt Rock were frequented by many local farming families and as early as the late 1800's, simple wattle and daub beach homes were being built in the area. Shaka's Rock received its name from a local rocky outcrop which is believed to have been used as a vantage point by the legendary Shaka Zulu, King of the Zulus. Over time the popularity of this area has increased considerably and today it offers a choice of beachfront and suburbia living. King Shaka ordered the construction of several, far-flung royal settlements and military camps during his consolidation of his Zulu empire and his 'barracks' were located at the present-day Shakaskraal. Sadly this area has not undergone much development, yet it is home to many religious buildings including the Shree Emperumal Temple, founded by Indian indentured labourers as well as the Shakaskraal Musjid catering or the needs of the Islamic community. The hustle and bustle of the central business district is reminiscent of the streets of India with a dazzling array of options on offer. 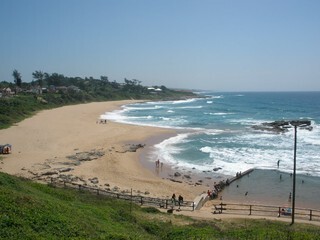 Just north of Salt Rock and virtually ten minutes from Ballito, is the beautiful Sheffield Beach Area with sheltered coves, and excellent fishing and diving spots. 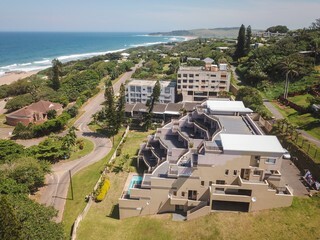 This area is tranquil and is situated away from the hustle and bustle of the now large Ballito CBD. Several relatively new developments are steadily increasing the appeal of this area, namely Birdhaven and the Zulalami and Elaleni developments which will increase the popularity of this area even further. A small town on the north coast of KwaZulu-Natal Zinwazi is well known for its lagoon, which is a 7km stretch of water that is part of the Zinkwazi River. Surrounded by coastal dunes this area forms part of a nature conservancy. The lagoon is a popular swimming spot for kids as well at boating enthusiasts. The Zulus name Zinkwazi means "the home of Fish Eagles", and their haunting cry is still part of the attraction of this beautiful area.